It is great to reach the driveway and to see a beautiful garage door in front of you. You just push the garage motor remote button and the door opens automatically. But what if the panels are covered with rust or the remote does not work? 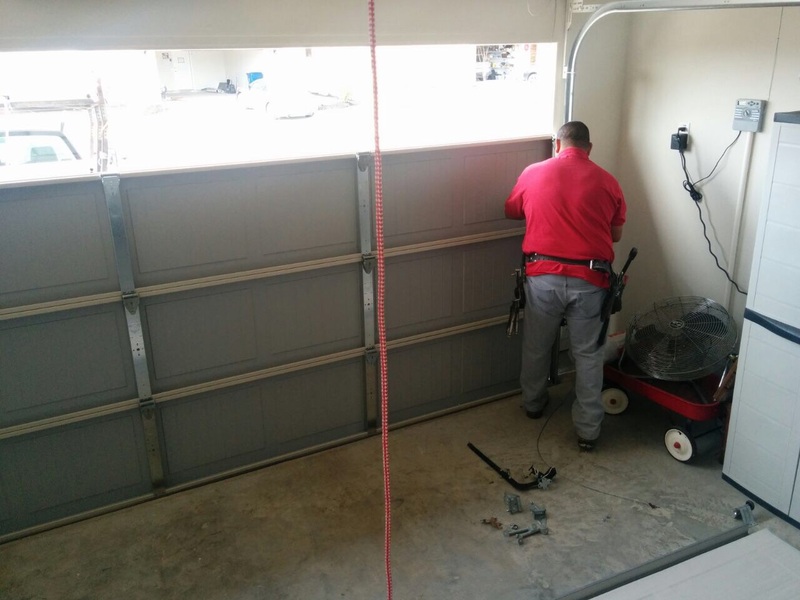 In this case, you will benefit from using our professional garage door repair services. Our company has long-term experience and a solid reputation in the industry. We work with all types of doors and openers regardless of the brand, design or year of production. You can get emergency assistance from us when the issue is urgent in addition to using our scheduled solutions. Problems with the hardware components of the system are quite common simply because they do a lot of work. The important thing is to recognize the signs that something is wrong. Squeaky sounds signal issues with the garage door hinges while popping noisesreveal that the rollers have becomeworn. Share the issue with us and one of our technicians will resolve the problem quickly. If the components are in good condition, they will be properly adjusted and lubricated. If not, they will be replaced with new ones of the highest quality. Count on us for fast spring and cable replacement as well. When such an important component breaks, we, at "Garage Door Repair La Puente", will come to the rescue in the shortest possible time. Modern garage door openers are equipped with diagnostic and shut-off technologies, but this does not mean that they are perfectly safe from damage and malfunction. Our technicians are experts in these devices and have everything necessary to fix them effectively and quickly. The issue is identified with inspection and testing. Then, the unit is repaired. When there is a faulty component, it will be replaced with a new one that has the same specs. Our advanced garage door repair tools allow us to achieve the highest level of precision even when handling very small and complex components. There are issues which start off small and grow bigger as time passes. At the same time, they can behard to notice without regular inspection as part of maintenance. Such issues include rust and decay. If you notice that the bottom steel garage door panel and the lower ends of the tracks have started to rust, you should have us deal with the problem right away before it spreads to the rest of the door. Count on us to restore the condition of the components completely and to protect them from future damage in the best possible way. We will help you eliminate the root cause of the problem too. Call us now to get a quote quickly.